The Swiss Ramble: Can Lazio Achieve Success On The Cheap? Can Lazio Achieve Success On The Cheap? Last season was a bittersweet symphony for Lazio, as they missed out on qualifying for the Champions League by the narrowest or margins. They finished up with the same points total as fourth placed Udinese, had the same record in the head-to-head against the team from Friuli, but lost out due to an inferior goal difference. Although this must have been disappointing, as Lazio occupied a Champions League place for most of the season, in the cold light of day it was still a notable achievement. In fact, it was a major surprise, given that they had flirted with relegation from Serie A the previous season, before finally finishing in mid-table respectability. Much of the improvement can be attributed to manager Edy Reja who replaced the hapless Davide Ballardini in early 2010. Many plaudits were given to the creative protagonists, the Brazilian Hernanes, top scorer for the club with 11 goals, and Cristian Ledesma, but the platform for the team’s improvement is a formidable defence, whose backbone is provided by the veteran André Dias, a compatriot of Hernanes, and Giuseppe Biava, ably supported by the Rumanian Ştefan Radu. Lazio only conceded 39 goals last season, a record only bettered by champions Milan. "Cristian Ledesma - back for good"
That may explain why there have been so many changes at Lazio during this summer’s mercato. In an effort to boost their goalscoring options, they have brought in two proven, international strikers in the form of France’s Djibril Cissé, who was top scorer in Greece for the last two seasons with Panathinaikos, and Germany’s Miroslav Klose from Bayern Munich, though some believe that their best days are behind them. The departures of two important players have been covered by replacements, though it is questionable whether the quality has been matched. The brilliant, but inconsistent, Uruguayan goalkeeper Fernando Muslera refused to sign a contract extension, so was shipped out to Galatasaray and has been replaced by Italian international Federico Marchetti, frozen out at Cagliari. Similarly, Abdoulay Konko has been snapped up from Genoa to take the place of the wonderfully combative Swiss full-back Stephan Lichtsteiner, who joined the Juve revolution. The total of new arrivals rose to an incredible seven with the multi-cultural purchases of the Bosnian Senad Lucić from Young Boys Bern, the Lithuanian Marius Stankevičius from Sampdoria and the Albanian Lorik Cana from Galatasaray. It’s an interesting gamble, considering how well the team performed last year, but then again Lazio have been no strangers to upheaval in the last few years. Much of this has been attributed to the club’s irascible owner and president Claudio Lotito, who at times has seem determined to turn Lazio into a Roman soap opera, as he has managed to alienate both players and fans. He has marginalised numerous players by ordering the coach not to select them and forcing them to train on their own, including the key figures of star striker Goran Pandev and Ledesma. After Pandev announced his intention to leave Lazio in the summer of 2009, he was excluded from the squad and labeled a “rebel” by Lotito, but won his legal case with Lega Calcio and was snapped up by Inter for nothing. 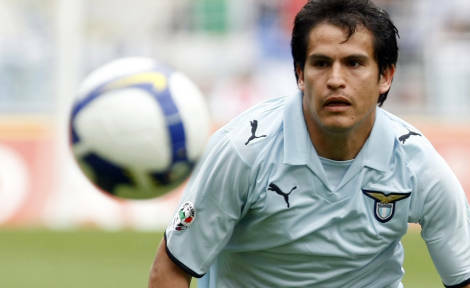 Ledesma eventually signed a new contract and it was no coincidence that his return to the team inspired Lazio’s resurgence. This peremptory treatment by the clubs is one of the main issues behind the current players’ strike in Italy. Lotito has also angered his players by imposing a lengthy ritiro (training camp) after a series of poor results, engaging a sports psychologist against the manager’s wishes and banishing Lichtsteiner to the stands after criticism of the club. 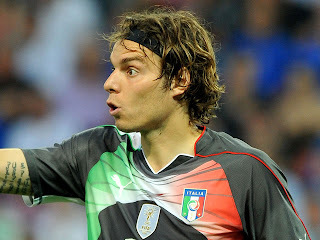 Italian football authorities have equally not been best pleased by his frequent barbed comments on refereeing decisions. Nor does he enjoy a good relationship with the Lazio supporters, who have protested against many of the president’s decisions. While it may be understandable that Lotito ended some of the Ultra fans’ traditional benefits, such as using the club’s name on merchandise, his move to ostracise club legends like Paolo Di Canio and Angelo Peruzzi was never going to endear him to the Curva Nord. However, there are two sides to every story, and other fans are grateful to Lotito for saving Lazio from the threat of bankruptcy when he took over the club in 2004. Two years previously the reign of Sergio Cragnotti, owner of the food giant Cirio, had come to a spectacular end when his company was declared insolvent. 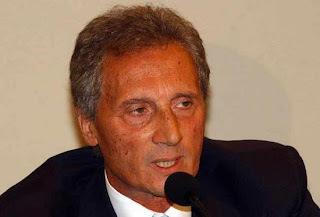 Cragnotti had bankrolled Lazio from 1991, but he left the club on the verge of collapse with Lotito inheriting a massive wage bill and a mountain of debt. "Cragnotti - where did it all go wrong?" Lazio defaulted on payments for big money transfers to the likes of Manchester United (for Jaap Stam) and Valencia (for Gaizka Mendieta) and were forced to offload a number of their stars, most painfully their captain Alessandro Nesta. Given the huge problems caused by the former regime’s extravagance, it is hardly surprising that Lotito has adopted a much more cautious approach to spending, reducing costs and implementing a tight salary cap. He nailed his colours to the mast when outlining his ethos, “It is necessary to change policy in football. The theory that who spends most wins is no longer valid. The winner is the one who carries out a proper project, based on values.” Indeed, Lotito takes pride in running his club in a self-sustaining manner, yet still competing at the higher levels. "Federico Marchetti - Italy's forgotten 'keeper"
Of course, they have not yet scaled the dizzy heights of Cragnotti’s era, when a Lazio team featuring an array of talent like the midfield maestros Juan Sebastián Verón and Pavel Nedvěd won the UEFA Cup Winners’ Cup in 1999 and a rare Italian double in 2000 under the guidance of Swedish manager Sven Göran Eriksson. This was only Lazio’s second ever scudetto, following the triumph of the legendary Giorgio Chinaglia’s team in 1974, but, in a sign of things to come, only five years later that team was relegated to Serie B for financial irregularities. History repeated itself in 2006 when Lazio were subsequently implicated in the Calciopoli scandal, after police uncovered a series of telephone interceptions that showed a number of major teams (also including Juventus, Milan, Fiorentina and Reggina) attempting to rig results by selecting referees that would be favourable to them. Allegedly, Lazio had decided that if they could not beat the system, they would join it and asked the Italian Federation president for help in four matches at the end of the season. Lazio were initially relegated to Serie B with a 7 point deduction, but on appeal were reinstated to Serie A with an 11 point deduction, which was finally lowered to a 3 point penalty. Even so, Lotito was not happy, “I’m not satisfied at all. Lazio has not broken any rule. The fact that we will not be taking part in the UEFA Cup (for finishing sixth that season) is not in line with the truth.” Despite the handicap, experienced manager Delio Rossi still managed to guide Lazio to an unlikely third place finish in 2007, which qualified them for the Champions League. This was a remarkable achievement, given the low budget he was working with. Spending under Lotito and Cragnotti is like chalk and cheese. In the last four years of Cragnotti’s spendthrift time in office up to 2002, Lazio splashed out nearly €370 million, an astonishing sum. After sales proceeds, the net spend was reduced to €167 million, but that’s still a huge amount of money by almost any standards. During that heady period, Lazio constantly broke transfer records: Christian Vieri €25 million from Atlético Madrid, Verón €30 million from Parma, Mendieta a scarcely credible €45 million from Valencia and Hernán Crespo €50 million also from Parma. It’s been very different under Lotito with Lazio’s net spend being just €62 million in seven years and only two eight-figure signings: Argentine striker Mauro Zárate €20 million and “the prophet” Hernanes €11 million. Not only has there been no crazy spending, but Lotito has proved to be an astute businessman, such as when he bought Serbian defender Aleksandar Kolarov for less than €1 million in 2007 and sold him to Manchester City three years later for €18 million. In fairness to the president, the football landscape in Italy is very different these days and few clubs can afford to throw money around with impunity. In fact, in the last three years only Juventus and Napoli have a significantly higher net spend than Lazio’s €28 million with giants like Inter and Milan reporting net sales proceeds in this period, as they struggle to come to grips with previous excesses. 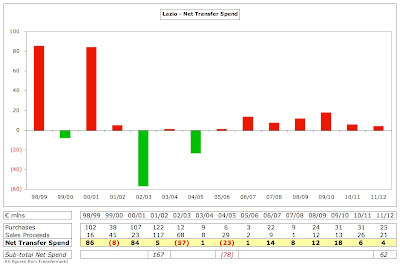 Even Roma’s busy mercato this summer was only just enough to overtake Lazio’s steady expenditure, epitomised by positive net spend every year since Lotito acquired the club. This relatively high spending in the transfer market may come as a surprise to many people, as Lotito is famous for his careful financial husbandry. In fact, last year’s small loss of €1.7 million was the first that the club reported under his control. 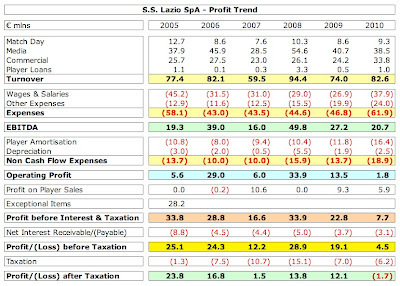 Even then, Lazio actually made a pre-tax profit of €4.5 million before this was offset by tax. The deterioration in the 2010 figures was largely due to the growth in player costs with wages rising from €27 million to €28 million and player amortisation increasing from €12 million to €16 million, suggesting that Lotito may be slightly changing tack. Up until now, he had an impeccable financial record with profits reported in each of the last five seasons: 2005 €24 million, 2006 €17 million, 2007 €2 million, 2008 €14 million and 2009 €12 million. 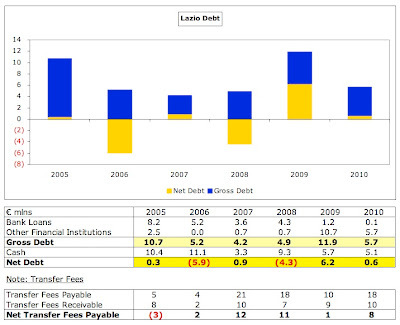 Not only have Lazio been profitable, but these are large surpluses, adding up to an impressive €68 million in five years, though 2005 was admittedly inflated by a company restructuring which resulted in extraordinary gains. Lotito’s record is in stark contrast to his extravagant predecessors, who racked up an amazing €351 million of losses in the four years before his arrival. That model worked while the Cragnotti family were pumping money into the club, but ultimately was a recipe for disaster. Instead, the “new” Lazio generates a lot of cash with EBITDA (Earnings Before Interest, Tax, Depreciation and Amortisation) of over €20 million in each of the last three years. That is before adding profit made on player sales, which was worth €6 million in 2010 (mainly Lorenzo De Silvestri to Fiorentina and David Rozehnal to Hamburg), €9 million in 2009 (Valon Behrami to West Ham, Gaby Mudingayi to Bologna) and €11 million in 2007 (mostly due to Massimo Oddo’s move to Milan). These gains would have been even higher without Lotito’s stubbornness, which cost him at least €13 million when he refused to sell Pandev. That was the sum offered by Zenit St. Petersburg, but other clubs were also interested. 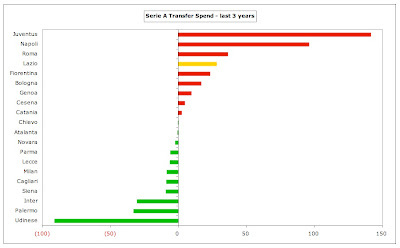 Nevertheless, it is clear that Lazio are one of the best run clubs in Serie A from the financial perspective. In spite of the 2010 loss, Lazio’s cumulative profit after tax of €10.4 million for the last two years was only beaten by two clubs in 2010: Napoli €11.2 million and Catania €13.4 million. In that period, 14 of the clubs in Italy’s top division registered losses. Despite the ever increasing revenue, largely driven by television money, which for the first time last season surpassed €1.7 billion, the combined losses of the 20 teams in Serie A amounted to €193.5 million and would have been even higher without the hefty €381.5 million profits on player sales, including the exceptional transfers of Ibrahimovic and Kaka to Spain. In particular, the Milanese giants made huge losses with Milan’s €77 million only looking reasonable alongside Inter’s catastrophic €223 million. There’s clearly still a while to go before Lotito’s belief that big spending does not equate to success comes true, as those teams finished in the top two places last season. That said, the next three positions were filled by teams that had been profitable in the previous two seasons, namely Napoli, Udinese and, of course, Lazio, so it’s not necessarily an impossible dream. Lazio’s ability to produce profits is even more impressive when you consider the relatively low level of their revenue. Admittedly, it is the seventh highest in Italy at €82 million, but it is less than half the revenue generated by the traditional big three clubs, mainly due to their very high individual television deals. Inter lead the way with €225 million, followed by their local rivals Milan €208 million and Juventus €205 million. Mainly for the same reason, Roma’s €123 million is exactly 50% higher, while their obvious rivals for European qualification (Fiorentina and Napoli) earn €10 million more a season. In some ways, Lazio could be described as the smallest big club in Italy, as their revenue is in turn much more than competitors like Palermo, Genoa and Udinese. This must be an uncomfortable place to sit, as the fans’ expectations will be high, but difficult to justify on this level of turnover. Those of you who keep up with financial affairs may be wondering why the revenue figures used in my Money League are lower than those used in Italy. The reason for the difference is that Italian accounts report gross revenue, while I have shown net income, as this is consistent with the approach used in other countries. Therefore, I have excluded the following: (a) gate receipts given to visiting clubs €0.7 million; (b) TV income given to visiting clubs €7 million; (c) revenue from player loans €1 million. Adding the €8.7 million adjustments to the €81.6 million in my analysis gives the €90.3 million reported in Italy. Lazio’s revenue (including player loans) rose 12% in 2010 from €74 million to €83 million, but this is virtually the same as the €82 million reported in 2006. If you were feeling generous, you would say that revenue has grown by nearly 40% from €59 million in 2007, but those of a less forgiving nature would point to the decline from €94 million in 2008. 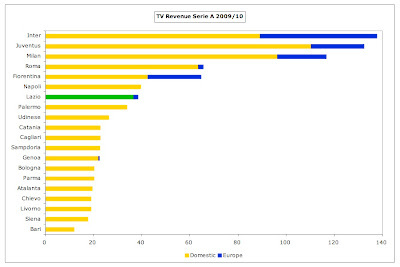 The reason for these fluctuations, as with so much in football finance, is television money, so the significant growth in 2008 was due to the Italian domestic TV deal increasing by €10 million plus €17 million distribution from UEFA for the Champions League participation. Similarly, 2006 was boosted by a €16 million once-off payment for signing the new television contract. However, Lazio are far less reliant on television income than almost all other Italian clubs, as this accounts for only 41% of their total revenue. According to a report from the Italian football federation, Serie A has the highest dependency on TV income of any of the leading five leagues at 65%, compared to France 60%, England 50%, Spain 38% and Germany 32%. In Lazio’s case, the main reason for their more balanced revenue streams is relatively high commercial income, though this does include some once-off items in 2010, notably a €5 million payment from RAI to allow use of the club’s image archive. Player loans do not often generate much revenue with the exception of the €3.3 million in 2008, which was largely due to Pasquale Foggia’s loan to Cagliari, though in the past couple of days it has been reported that Mauro Zárate will be loaned to Inter for a fee of €2.7 million. Television is still very important to Lazio’s finances, contributing a net €38 million of revenue a season, though that pales into insignificance compared to the €90-100 million that Juventus, Milan and Inter have been earning from their individual deals,. These vast differences have meant that the playing field in Italy has been anything but level, but years of protest finally led to a new collective agreement being implemented at the beginning of this season. There is a complicated distribution formula, which should still favour the bigger clubs, though there is likely to be a reduction at the top end. Under the new regulations, 40% will be divided equally among the Serie A clubs; 30% is based on past results (5% last season, 15% last 5 years, 10% from 1946 to the sixth season before last); and 30% is based on the population of the club’s city (5%) and the number of fans (25%). So, the larger clubs will lose out from the new arrangement, but the mid-tier clubs like Lazio should benefit. There has been much discussion over how the number of fans (worth 25% of the deal) will be calculated, leading to a major dispute between the larger clubs and the smaller clubs, and a heated argument between Lotito and the equally volatile Palermo president, Maurizio Zamparini, but this now looks to have been resolved. "Sergeant Rocchi is going to help me"
Actually, Lotito found himself in a perfect position to advance his club’s interests, as Lazio have the sixth highest fan base in Italy, so he could effectively act as a bridge between the big five clubs and the remainder. Indeed, an article in La Repubblica suggested that the increase in TV money would be largest at Lazio with €13 million, compared to Udinese €10 million and Napoli €8.5 million. The same article estimated that Juventus would lose €13 million, Milan €9 million and Inter €8 million. The good news is that the total money guaranteed by exclusive media rights partner Infront Sports is approximately 20% higher than before at around €1 billion a year, which cements Italy’s position as the second highest TV rights deal in Europe, only behind the Premier League, but significantly ahead of Ligue 1 and La Liga. In fact, Italy’s deal is worth twice as much as the Bundesliga. That’s pretty impressive, given how little is received for foreign rights, though there have been suggestions that Sky and Mediaset will look to offer €200 million less from 2012. Of course, Lazio could have really grown their television revenue if they had managed to qualify for the Champions League. Reja is all too aware of the lost opportunity, “If we had finished fourth, we would have been able to make some big plans. The club’s economic potential will be penalized with the Europa League.” The manager is referring to the enormous financial disparity, which is worth at least €15 million for teams that reach the group stage. Clearly, that would not have been guaranteed with fourth place, as Lazio would still have needed to get though a qualifying match, and, as Udinese discovered with Arsenal, that’s not a formality. Even though Lazio’s match day income of €9 million is on the low side, it’s not too bad for Italy, though it partly depends on successful cup runs, e.g. the high 2008 figure is due to involvement in the Champions League. There’s no doubt that they are a well supported club with their 2010/11 average attendance of 28,760 being the fifth highest in Italy, only behind Inter, Milan, Napoli and Roma. 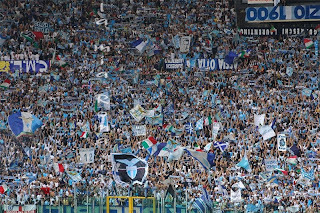 The best example of this support possibly came in 2003/04 when the club sold over 40,000 season tickets as part of the “maglia unica” initiative where each season ticket holder received a shirt signed by all the Lazio players as a thank you for escaping from bankruptcy. 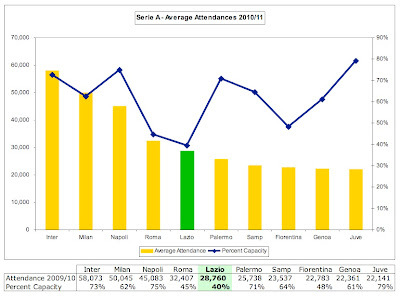 However, as with most Italian clubs, attendances have been declining with a 14% decrease last season alone compared to the 33,632 average in 2009/10. These days, Lazio only fill 40% of the gigantic Stadio Olimpico (capacity 72,700). The Italian football federation report revealed that the average stadium capacity utilisation in Italy of 61% was lower than the other major leagues: England 92%, Germany 88%, Spain 73% and France 63%. "Mauro Zárate - what have you done for me lately?" This is partly due to the introduction of the unpopular “tessera del tifoso” (identity card), but other factors are also important, such as the economic crisis, football scandals, the exponential growth of matches televised live and the threat of violence and racist chants. However, Lotito believes that the major dynamic holding the club back is the old, uncomfortable stadium, which they share with Roma. Like almost all other clubs in Italy, Lazio do not own their stadium, but rent it from CONI, the Italian Olympic Committee. This rent has been steadily rising in the last few years from €1.9 million in 2007 to €2.7 million in 2010, leading to a number of disputes. This summer, Lazio registered the Stadio Artemio Franchi stadium in Florence in order to secure the licence to play in UEFA competitions, as they argued with CONI about an outstanding debt from the previous season. Although this was finally paid in June, Lotito was far from happy, describing it as “extortion”. 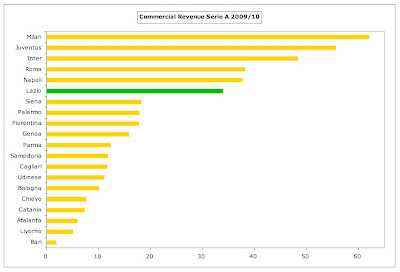 Commercial revenue is not bad at €34 million, only behind the big five clubs. Even if the once-off €5 million payment for the image archive is excluded, this would still have grown nearly 20% from €24 million last year to €29 million. This is even more impressive, as Lazio have gone without a shirt sponsor for four years. The last main sponsor, INA Assitalia (an insurance company) paid them €2.6 million in 2007, but other clubs now have much higher deals: Milan – Emirates €12 million, Inter – Pirelli €11.6 million, Juventus – BetClic €8 million, Napoli – Lete €5.5 million, Roma – Wind €5 million and Fiorentina – Mazda €4 million. Instead, Lazio have done a deal with UNICEF, where they pay the charity, much like the arrangement that Barcelona had until last season. They also have a long-standing kit supplier deal with Puma that is worth €3.7 million a season. Again, this is a lot less than the sums earned by other clubs: Inter – Nike €18 million, Milan – Adidas €13 million, Juventus – Nike €12 million, Roma – Kappa €5 million and Napoli – Macron €4.7 million. On the other hand, Lazio receive €9 million a season from RTI for sponsoring their Formello training ground, have two reasonable advertising deals with Media Partners & Silva Ltd €3.5 million and Infront €3 million and finally some merchandising revenue €1.1 million (zero in years gone by). 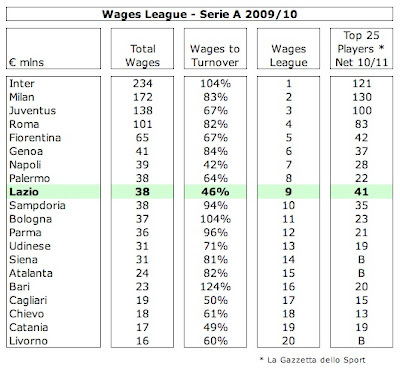 Lazio’s wage bill is intriguing. In 2009/10 it was only the ninth highest in Serie A at €38 million, which was absolutely miles behind some clubs: Inter €234 million, Milan €172 million, Juventus €138 million, Roma €101 million and even Fiorentina €65 million. 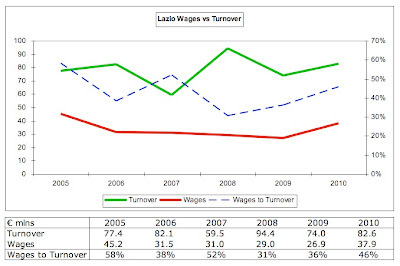 Not only that, they also have the second lowest wages to turnover ratio of 46% (only bettered by Napoli), which was as low as 31% in 2008, reflecting Lotito’s well-known thrifty approach. On his arrival, the president immediately slashed the wage bill and implemented a salary cap, which he claimed was part of his agreement with the tax authorities. However, whisper it quietly, but it looks like this might be changing, as wages soared by 40% (or €11 million) in 2010. Furthermore, La Gazzetta dello Sport’s list of salaries for 2010/11 had €41 million for Lazio, the sixth highest in Serie A. When you consider that this figure represents net salaries (after tax) only for the top 25 players, it is clear that Lazio’s total wage bill for 2010/11 will be much higher, as it will also cover the grossing-up of those player salaries, other players, coaches, administration staff, social security and bonuses. Looking at La Gazzetta’s player list, it is easy to see what has happened, as newer arrivals have been paid top dollar. Almost unbelievably, the work-shy, low-scoring Zárate receives €2 million, making him the seventh best paid player in Italy. To place that into context, he earns almost twice as much as Serie A’s top scorer for the last two seasons, Udinese’s Antonio Di Natale €1.2 million. This may explain why Lazio were so keen to offload Zárate even on loan, especially as Klose will probably earn at least as much. Another reason for the wages growth is a major increase in headcount from 116 in 2005 to 167 in 2010. Much of this rise is due to administration staff, but also coaches 21 and players 15. Lotito has realised that this cannot go on, so this summer promised, “In the coming months we will work to make the squad smaller.” Indeed, some of the highest earners did leave: Muslera €1.4 million, Mark Bresciano €1 million and Lichtsteiner €0.8 million. The other element of player costs, namely amortisation has also been rising, more than doubling in four years to €16 million, though this is still very low compared to other leading Italian clubs: Inter €65 million, Milan €41 million, Juventus €40 million and Napoli €40 million. Amortisation is the annual cost of writing-down a player’s purchase price, e.g. Zárate was signed for €20 million on a five-year contract, but his transfer is only reflected in the profit and loss account via amortisation, which is booked evenly over the life of his contract, i.e. €4 million a year (€20 million divided by five years). In other words, Lazio’s higher amortisation is the logical result of increased transfer spend. Happily, this has not come at the price of increasing debt. In fact, Lazio are in the happy position of having no bank debt at all, though they do owe €5.7 million to other financial institutions (mainly factoring companies). After deducting €5.1 million of cash, the net debt is a trivial €0.6 million. With Italian clubs, it is always worth looking at how much they owe other clubs for transfer fees, as this is a tried-and-trusted method of financing acquisitions. Although this rose last year to €18 million, Lazio themselves are owed €10 million, so this is not really an issue either. Despite this, they have one of the weakest balance sheets in Serie A with only €0.5 million of net assets, considerably less than the likes of Fiorentina €93 million, Juventus €90 million and Udinese €38 million, though at least they don’t have net liabilities like Milan, Roma and Inter. In fairness, the balance sheets at football clubs are invariably a little misleading, as they only include the players at net book value, i.e. transfer cost less accumulated amortisation, which is invariably less than their value in the real world. For example, Lazio’s players were shown at €52 million in the accounts, but the respected website Transfermarkt estimated that the market value was around €128 million. 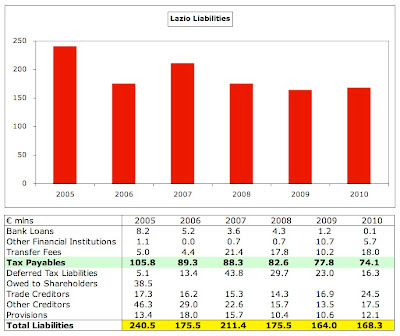 However, the reason why Lazio’s balance sheet is not as strong as others can be found by looking at their total liabilities of €168 million. As well as including standard fare such as trade creditors and provisions, the distinguishing factor for Lazio is the large amount of tax owed to the fiscal authorities of €74 million. The club has been steadily reducing the amount owed as part of the arrangement whereby Lazio have to pay €140 million (€109 million plus interest) in 23 years, e.g. it has come down from €106 million in 2005. Lazio’s financial future looks pretty good. They already produce solid profits, even with the millstone of large payments to the tax man. 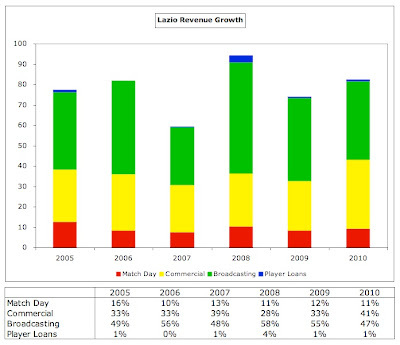 Despite the blip in 2010, the chances are that the club will return to profit in 2011 with the Q3 results showing a €6 million surplus for the first nine months, helped by €18 million profit on player sales, largely due to Kolarov’s departure. That is a strategy that the club will hope to repeat in future years, as 2012 will include at least €17 million after the sales of Lichtsteiner and Muslera, while 2013 might include the sale of Zárate (Inter have an option to buy the Argentine for €15 million after the year’s loan). The balance sheet would also be helped by improving the production line of homegrown players. Although Lotito has claimed that “many of the first team squad now come from the academy”, there is certainly room for improvement, even if the club has to go further afield to source the youngsters, such as Czech U-21 international striker Libor Kozák. 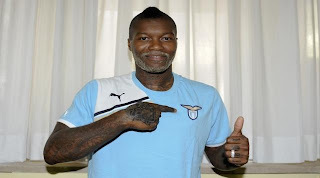 "Djibril Cissé - where eagles dare"
For those fans eager for a change in owner, there was an interesting suggestion that Lotito had been looking at taking over Salernitana, another club on the brink of bankruptcy. However, this may well be a case of “be careful what you wish for”, as precious few owners would be as adept as Lotito in improving the club’s finances while still maintaining a challenge in the league. Indeed, in 2008 Lazio nearly fell into the hands of an organised crime syndicate. 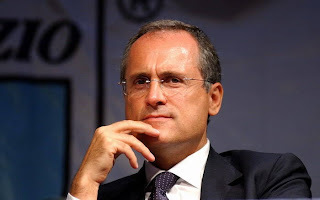 The club is quoted on the Italian stock exchange, so we can see that the market capitalisation is around €40 million (Lotito owns 67% of the shares), but any prospective investor would have to also take on the burden of the tax debt. In truth, that has not been an issue to the club’s sustainability and could be paid off in 10-15 years. In the meantime, better the devil you know. Lotito is unlikely to ever splash the cash, but it’s clear that he’s loosened the purse strings a little in a bid to reach the next level. 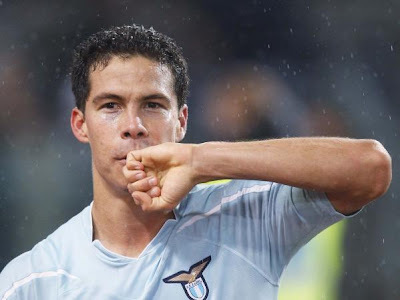 Most reasonable fans would be satisfied with a repeat of last season’s performance, but if Hernanes adds more consistency to his game and Klose and Cissé deliver more goals, then Lazio might yet soar like their famous eagle. Well, I was hoping for a piece on Lazio. That's fantastic reading. Brilliant work, thank you very much! Great work, Lazio are very well managed! 'Milan lead the way with €225 million, followed by their local rivals Inter €208 million' - picture suggests you mixed the Milanese for a moment. Brilliant to see Lazio getting "Rambled" at long last! The only thing I'd like to add is there's never been anything concrete from the club regarding the UNICEF sponsorship. If you've uncovered more information on it that would be great news, but the shirts were disappoiningly blank aginst Rabotnicki. Many thanks for that - you're absolutely correct. Now edited. Yet again a grear article, I wait eagerly for your next post whoever it may be. Out of inerest I read about huge wage bills and debts from the milanese, surely they will fall over when fair play regs come into force! Do you believe this? Are they the only ones? Great to finally see a piece of Lazio here on this fantastic site! 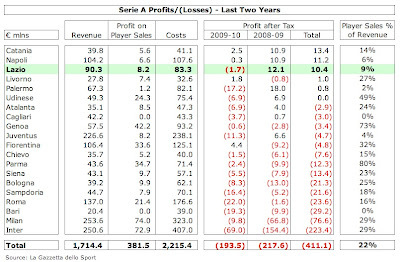 Do you have the 2010-11 Serie A Revenue Numbers, you used numbers than were two years old. 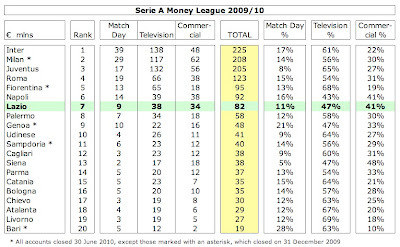 It seems like Serie A, is making some step to getting Financially in order, but I'd like to see the most recent numbers. I would love to help, but there's a very good reason that I have not used the 2010-11 figures, which is that they have not been published yet. Mille Grazie!! I've been looking for an article like this for a decade! Top notch work. p.s. "work-shy" Zarate - you said a mouthful brother! Lazio did not inherit over €400 million of debt from Cragnotti. It is a popular misbelief spread by Lotito and Geronzi. The truth is that Banca di Roma, or Capitalia as they are called now, placed large amounts of debts on the club after they took control of the club in January 2003. This was the only reason why they took control of the club in the first place, numerous businessmen (Bertarelli, Baldassarra, Murdoch even Gaddafi) wanted to invest in the club when it was still officially under Cragnotti's administration, naturally they lost interest after Capitalia ruined the club and there was only Lotitio left. Wonderful stuff, very well done. Great blog, and great, great stuff!!!! It will take me some time to go through all the brilliant posts I've found. You have won a follower from the Basque Country. This is a fine piece on Lazio's financial status and transfer policy. 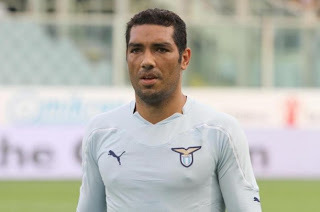 For the upcoming 2012/2013 Seria A, Lazio already got decent back four with Radu, Konko, Biava, and Dias while the midfield will certainly be more solid with the addition of Candreva and Ederson. Now, if only Zarate find his old form, Lazio will be a relatively cheap team, in therm of wages, with offensive-minded squad. Valencia - On The Road To Recovery?